Uma Musume touches on a premise so profoundly charming, it’s difficult for the audience to not grin at least. The human race tampered with fire, while other species avoided it. Ever since then, we’ve gone from developing the wheel to achieving space travel. The limit of the sky has been surpassed, yet mankind’s imagination doesn’t seem to show any sign of slowing down. Which brings us to 2018’s Uma Musume: Pretty Derby, a showcase of what the human mind can achieve. It’s a simple premise: think of horse racing. Now replace the horses with anime girls that have horse tails and ears. 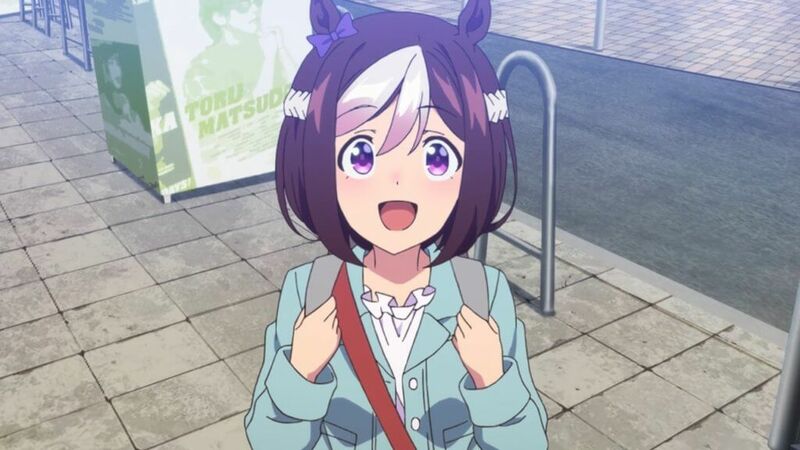 Uma Musume is based on a mobile game of the same name, which features horse girls as idols. The anime takes an interesting turn, in that it removes a lot of the idol aspect of the game, solely focusing on horse racing itself. To embellish this concept even further, all of the horse girls are based on real-life horses (ex: Silence Suzuka, El Condor Pasa, Tokai Teio, etc. ), and a number of the race sequences are taken frame by frame from real historical races; ingredients that add inexplicable spice to the series. The anime mainly follows Special Week – sadly the horse this character is based on passed away during the show’s production – who arrives in Tokyo and enters the world of horse racing. She joins a training group called “Team Spica,” with other horse girls including Silence Suzuka, Gold Ship, and Daiwa Scarlet. There are actually over a dozen supporting characters in the show. While most of them don’t receive “character development” in the conventional sense, they’re each given at least one idiosyncrasy that differentiates them from everyone else. And the show does something interesting: introducing characters when they’ve already been in the horse racing world for quite some time. Azumi Waki as the energetic Special Week. Outside of our view, they’ve already developed in their own ways, and the anime only brings us in to see the result. This gives the series ample time to pinpoint Special Week as its primary character focus. And the show progresses so quickly that by the last episode, years have passed since the show started. It moves at such a brisk pace, the fact that months are traversed within a single episode feels natural. 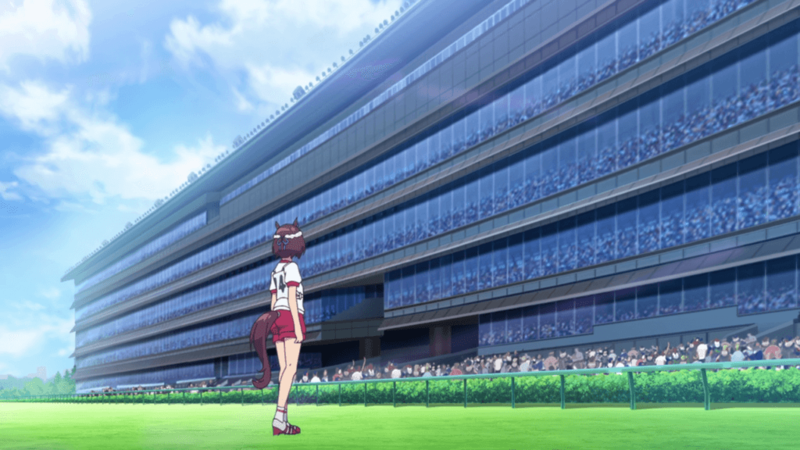 Even if the game is advertised as an idol game, the anime bases its narrative foundation on the sport of horse racing. There’s only a small number of idol elements in the show, making it accessible to non-idol fans. Considering its unbelievably extreme premise, it’s difficult for even the most stringent audience to not at least grin at the thought of girls with horsetails and ears eating carrots in the morning. However, the show certainly could have gone even farther with its portrayal of horse girls living in, what otherwise would be considered normal, modern society. The best moments of the show look at how the world developed with the existence of horse girls, like how they eat hamburg steak with a carrot stuck on top or how their phones are longer to compensate for their differently positioned ears. Albeit, beyond carrots and larger phones, there’s very little of these examples and it certainly would’ve been enlightening to see more. Production wise, the show also felt like it was coming close to falling apart near the final stretch of episodes. Compared to many of the amazing cuts in the beginning of the series, a lot of the middle to final episodes found themselves with increasingly stiff animation (with weird composition for some of the races). I’m not sure why, but several of PA Works’ shows have come across this problem, with their compositing ending up looking weird (this has also been seen in some of the final episodes of Shirobako and Sakura Quest). I say “weird” in that the angle of the backgrounds don’t match the angle in which the characters were animated in. These issues might’ve come from scheduling conflicts, something that many anime are known to run into. When it comes to the music, it’s startling to see the same man who composed the score for Bong Joon-Ho’s crime-drama masterpiece Memories of Murder work on Uma Musume. Taro Iwashiro’s familiar tense strings can actually be heard at several points in the show, and they do add tension to scenes building up to some of the races. Otherwise, much of the rest of the music doesn’t pop out. It’s a bit disappointing, because the tracks that do stand out (particularly a scene before Suzuka’s race in episode 11) really bring out the weight each character carries into a race. Special Week looking out to her audience. But the show doesn’t ever want to take itself too seriously, so each time we get to see the characters hit by a hefty realization or resolution, it’s always followed by a gag. Sometimes it works to remind us that being heavy is not the show’s intention. Other times it really does thin out some genuine personal arcs. It’s an odd conundrum; to balance the series with enough weight to make the audience care about the races and with enough light-hearted fuzz to make sure they don’t take the anime more seriously than they should. The scale doesn’t always feel even, but thanks to the amount of effervescent heart put into each character, the occasional unevenness doesn’t take away from the bona fide fun this anime has to offer. 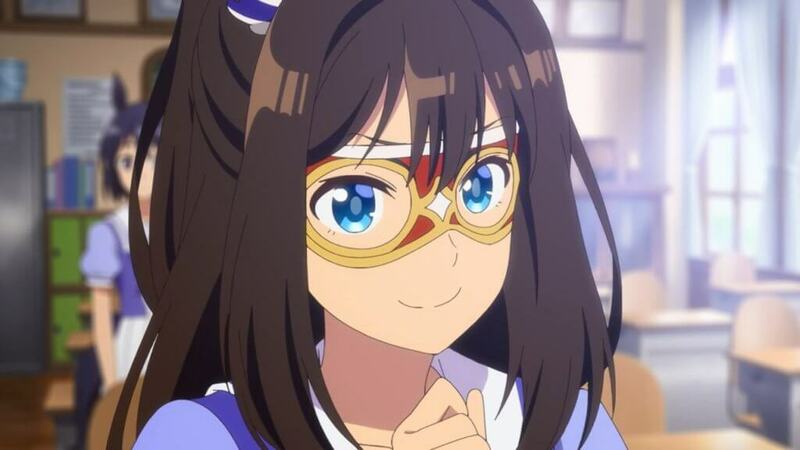 You can watch Umamusume: Pretty Derby on Crunchyroll. Travelling around the world to be endlessly confused, but mostly just in Japan.